Blogging is one of the most important types of content you can create to improve your business’s organic reach online. Writing your blog is just the first step in the process, however, if you want to reap all the benefits of quality content. You also need to put some effort into search engine optimization, or SEO, for each blog page. You might have thought that SEO was only important for your website as a whole, but it has the biggest impact if you use it on even the smallest pages. You want people to be able to find your blogs so that they venture into other parts of your website, and that happens more easily if you have elements like keywords and featured images set up for each topic that people might search. Below, Virtual Market Advantage has created a basic SEO checklist to follow to get you started on your SEO blog campaign! 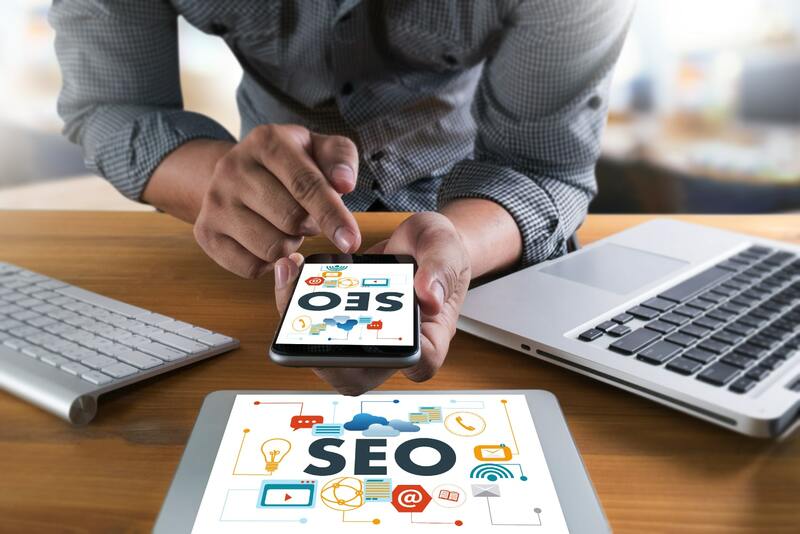 SEO helps direct traffic towards your website, so more search results land on your page, more eyes can view it, and ultimately more customers can purchase your product or service. This is done through setting up features like strong keywords and backlinks. This is an important part of building any type of online presence, as it’s an organic way to stake your claim on the web and get real people viewing your website. Even when it comes to SEO, above all else, you need to make sure you write for your audience before you write for Google or any other search engine. Providing good and relevant content to those who search for it is the first step in making your SEO campaign work. If the content doesn’t resonate with your audience, no amount of SEO fiddling will keep people coming back for more. Once your content is written well, you can then go back through and make sure that it’s ready for a good SEO campaign. If you’ve already done an SEO campaign for your website, you might have already done this step, but if not, you definitely need to install a good plugin to run your SEO campaign. For WordPress, Yoast is a great option. There are other options available, but this one is one of the most popular and contains everything you’d need for basic SEO. Yoast will give you all kinds of options that are easy to use to optimize SEO, and will even give you feedback on how well your progress is coming along. Once your post is written and your plugin is installed, take a look at what your blog post is about and find the right keywords to use. Keywords are the words or phrases that are typed into a search engine. The more searches these keywords get on a daily basis, the better they are to place into your content. To find the best keywords for your content, you should use something like the Google keyword planner. This tool helps you find a potential keyword’s average monthly search volume. It will also show its competitiveness, as well as give you alternative keywords and their relevance. This helps you take the guesswork out of which keywords will work the best. If you want more information on keyword research, check out VMA’s blog on the subject here. Include your main keyword phrase. Instill as sense of curiosity with good adjectives. Keep it under 55 characters, to make it more visible and easier to scan quickly. Remember that most readers like ‘how-tos,’ ‘FAQs,’ ‘top 10s,’ and other easily readable content. Write down a few titles and share them with the people around you (coworkers, family members, friends, etc.) to see which ones they respond to the best. Even better, you should run A/B testing on the titles to see which ones fair better with readers. At the end of your testing, you should have a better sense of which title will attract more clicks to see the actual content of the blog. Image SEO is an important part of your website. It’s not enough to simply upload a relevant photo. The picture you use within your blog post needs to have a tag on it that can be found with a simple search. The most important step is to make sure that the ‘alt text’ space contains the pertinent keywords when you add an image to your webpage. SEO-optimized photos will help you get even more eyes to your content and website. Use the same rules as you would with your title, making sure to have a good keyword in your photo caption. These are just a few simple steps to get started in your SEO campaign for a blog post on WordPress. Using this simple SEO checklist, your blogs will be more visible to be found organically and effectively by those searching online. In turn, this will increase your audience and spread your brand awareness!